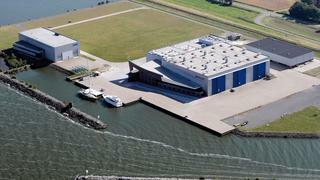 Dutch yacht builder Acico Yachts has announced that it has acquired the Jongert shipyard in Wieringerwerf, The Netherlands. Jongert was founded in 1953 and made its name on world-class sailing yachts. This merger will see both brands move to the 44,000 square metre facility in Wieringerwerf, which boasts direct access to the waterfront, three production halls and thee workshops devoted to metal work, carpentry, paint work and varnishing. Despite the move, Acico Yachts have expressed a desire for the Jongert name to remain a distinct sailing yacht brand, saying that the acquisition will simply protect Jongert’s heritage and give the company a more sustainable future while enabling Acico to continue expanding its superyacht building and refitting activities. Boat International reported in July that despite rumours otherwise, Jongert was still open but its future uncertain. The new merger gives the sailing superyacht builder's future some certainty. “This takeover strengthens our position and allows us to be one of the few Dutch shipyards that offers its clients the full expertise of yacht building under one roof,” said Christian Bolinger, Managing Director of Acico Yachts. A favourite among fans of beautiful sailing superyachts, Jongert’s 325 launches to date include the much-admired 41.6 metre Southwind Of, which is currently listed for sale, the 28.8 metre Scorpione Dei Mare and the 41.6 metre Islandia – which boasts one of the best superyacht spinnakers around. While relatively new to the industry, having only been founded in 2010, Acico Yachts has celebrated a number of notable launches in the last five years including the 49 metre Nassima and 47 metre Lady Dee.